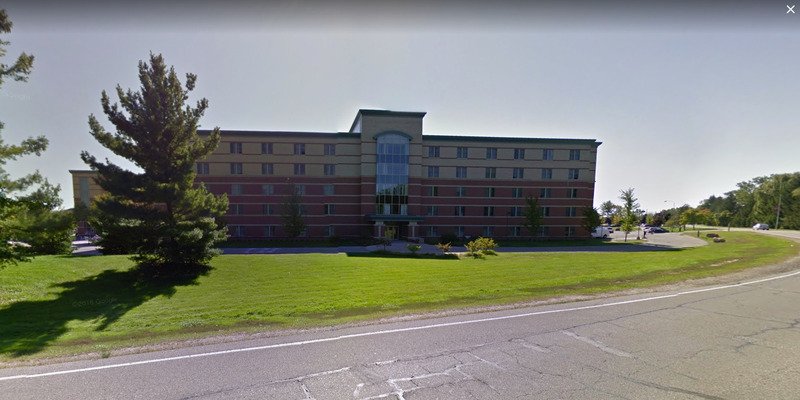 Google MapsCentral Michigan University’s Campbell Hall dormitory, where police said gunfire broke out on Friday, March 2, 2018. Police in Michigan arrested a 19-year-old Central Michigan University student accused of fatally shooting his parents on campus. The shooting occurred early Friday inside a campus dormitory. Suspected gunman James Eric Davis Jr. was captured Saturday morning and taken in custody, according to a message posted on the school’s emergency communications website. Two parents were killed after their son, 19-year-old James Eric Davis Jr., allegedly shot them at a Central Michigan University dormitory early Friday morning, the Associated Press reported. James, a student at the school, fled the scene, but was captured by police early Saturday morning, according to an update posted on the school’s emergency communications website. James Davis Sr. and Diva Davis were identified as the victims by the university. The city of Mount Pleasant, where the university is located,released a photo of Davis. Police said they “made contact with” Davis on Thursday evening and took him to a hospital for what they believed was an overdose or bad reaction to drugs. He was released from hospital early Friday morning. Police added that officers on Thursday who encountered Davis saw “no information that would lead us to believe” he would become violent. The university’s student newspaper, CM Life, reported that classes at the university were canceled and the school was placed on lockdown for a time. Special agents from the Bureau of Alcohol, Tobacco, Firearms, and Explosives were expected to assist authorities, the agency said on Twitter. The shooting comes about two weeks after a shooter killed 17 students and staff members at a Florida high school, putting schools across the country on edge over gun-violence threats. Mount Pleasant is roughly 70 miles north of Lansing.